June 1-7 is National CPR/AED Awareness Week. During this week and throughout the month of June, AED Superstore would like to stress the importance of learning CPR and the use of AEDs. The American Heart Association® (AHA) has advocated the Hands-Only CPR™ method for nearly 10 years. This method has simplified the life-saving technique by placing emphasis on chest compressions and keeping the blood flowing to vital organs, especially the heart and brain. Without the complication of rescue breaths, which may cause some to hesitate, more potential rescuers are willing to attempt CPR. What if you could make Hands-Only CPR even easier? You can with the CPR RsQ Assist®! Performing CPR can be tiring even for professionals. When fatigue sets in the quality of chest compressions can deteriorate. The CPR RsQ Assist is designed to make delivering chest compressions more efficient which helps prolong your efforts. Check out the video. AEDs are becoming more prominent in many locations, but it is important to have knowledge of their location and operation. Applications for smartphones like PulsePoint can help by showing the location of the nearest AED. 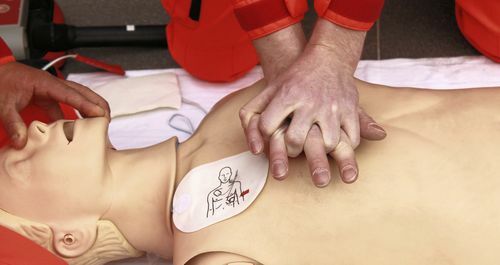 AEDs have become exceedingly simple to use, but having some hands-on training can go a long way toward easing some of the anxiety in a highly stressful situation. 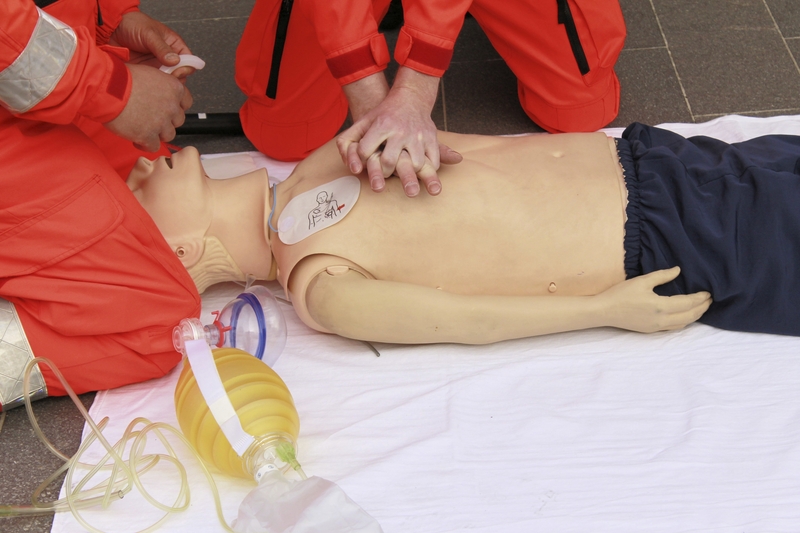 The Hands-Only CPR method can be learned in as little as 20-30 minutes. It’s as simple as push hard, compress the chest to a depth of 2 inches for an adult; and push fast, 100 compressions per minute. The disco classic Stayin’ Alive can help you remember the pace for chest compressions. If you are interested in hosting a local CPR/AED Awareness event, the AHA has a host of free promotional resources on their website you can use. They can also help you find a local CPR course to attend. Make sure to bring your friends, family, neighbors, and co-workers. Having more people trained means more lives can be saved. HeartSine Introduces the New samaritan PAD 450P AED!